Car accidents are an unfortunate fact of modern life. Thousands of individuals die in these accidents every year. Thousands more are maimed or injured in some way in these accidents. Even minor accidents create many individuals a considerable amount of pain, stress, and expense. Many individuals are so shocked by the brunt force of the accident that they make a series of mistakes after that accident. These actions can reduce the amount of money that an individual might be able to acquire to pay for the expenses from their accident. Individuals must reach safety and think about potential legal ramifications as soon as the accident occurred. Individuals who are in a car accident must immediately reach a safe place. Only a small percentage of accidents result in a car being left in a field or a forest. Many individuals have experienced a car accident that leaves them in the middle of a road or busy intersection. These individuals often want to stay by their car and prevent any injuries. The immediate response for a person in a car accident is to get out of the car and check any damage that occurred. They want to make sure that there has not been a considerable amount of damage to their cars. Such a step is warranted when an individual is safe. But there is a large number of individuals who are struck and killed after an initial accident. Individuals should do whatever they can to get themselves out of the road and away from traffic. They should move their car with hazard lights on if their car can start. If that car cannot start, they should exit their vehicle and move physically to the side of the road. An individual is a sitting duck if they are in the middle of an interstate highway. Collecting evidence is the next essential step for anyone who has been involved in a car accident. Individuals should conduct their own miniature investigation along with the police officer who will most likely be called to the scene. They should take pictures and immediately write down their own recollection of events. Individuals should take all of those pictures with time stamps. They should talk to as many people at the scene of the accident as possible and try to find as many witnesses as they can as soon as possible. All of these pieces of evidence can become essential parts of a case either against an insurance company or another party. An individual also needs to ensure that a police officer files a complete, accurate report. They should help the officer complete their report and correct any problems that they may see. A police report can be an essential part of any sort of case that may result from a personal injury incident. The next stop after an accident is to at least contact a car accident personal injury lawyer. Not every accident will result in a potential trial or settlement. But a car accident personal injury lawyer will help an individual gain a better understanding of the facts of their case. Members of car injury law firms will tell an individual exactly what they need to do in order to collect evidence and present their best possible case. 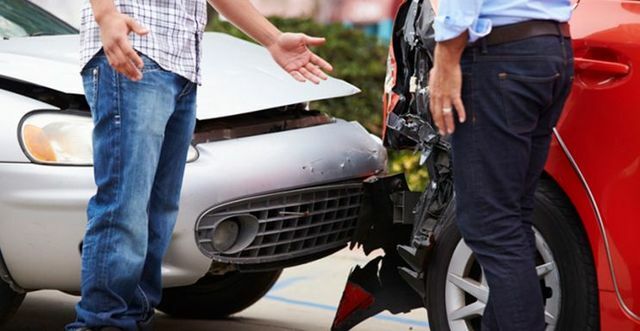 An auto injury lawyer may help an individual transfer his or her case to an insurance company. The insurance company would then pay for the legal defense that an individual might require. If the victim’s insurance company is not involved or does not provide a robust enough defense, an attorney may seek out the perpetrator’s insurance company or their lawyer. They may seek out a settlement that would satisfy both parties. The vast majority of these personal injury cases are settled out of court. A last-ditch scenario is to file a lawsuit for a considerable amount of money. Settlements or court systems could result in payments of thousands of dollars for damages to a car and hospital bills. Many people do not want to think about insurance as soon as they are in a car accident. It is of course true that the first thought after accident needs to be safety instead of money. An insurance payment cannot undue another fatal accident or a serious, life-altering injury. But at the moment the individual is safe, that person has to determine the steps they have to take in order to best support their story of how the accident had occurred. Insurance, an auto injury lawyer, and legal proceedings can help ensure that a person earns as much money as possible from a potential accident.